Finding ADA in the Rockies! Considered the founder of scientific computing, Ada Lovelace continues to inspire through what I refer to as her ‘poetry of numbers‘. The daughter of the famously troubled poet Lord Byron and mathematics loving Annabella Milbanke, Ada was raised with a strict sciences and math only education. Annabella separated from Lord Byron shortly after Ada was born, fearing his influence on their daughter would be detrimental. Ada‘s artistic nature however would not be contained as she channeled her creative impulses to mathematics. And so the world was gifted with her extraordinary vision of numbers as she dreamed of inventions and machines, conjuring methods of calculations which resulted in the Analytical Machine. Composer Kim Sherman, Librettist Margaret Vandenburg, Director Lisa Rothe, Music Director Kimberly Grigsby, and myself as Development Producer, are deeply engaged by her story. 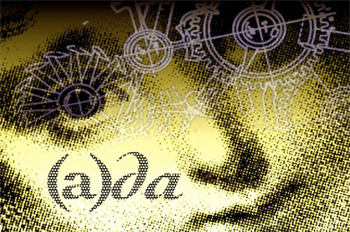 How do we conjure and envision as Ada did? What creative genre could most fully explore the epic mind that is Ada? So we begin: conversations, research, first drafts, edits, read throughs, second drafts, edits, workshops, more conversations. And we are deep in it. Until at last, ADA the Opera, a glorious delicious complex study of an extraordinary life, is becoming a reality. Dear Kim Sherman has left the comforts of her inspiring New York City studio for the serene setting of the Banff Centre for the Arts in the Rocky Mountains of Alberta Canada, sequestered for an entire month as she develops the score for our ADA. The orchestration and instrumentation of a work this size is a huge undertaking as each music voice supports the other, themes weave, math and music dance on the page. Continually searching for Ada, drawing upon her essence in the crafting of each phrase. We will update on ADA‘s progress as we build to our first production. The process of creating partnerships, fundraising and production development continues and we are always interested in adding to our network. 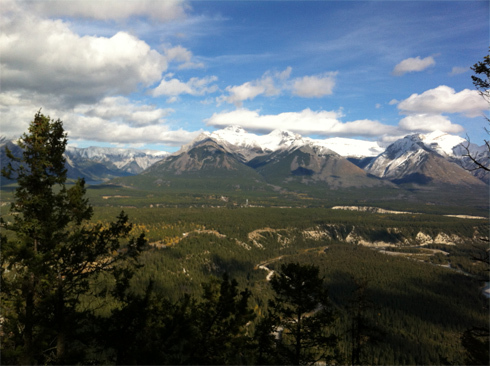 So please don’t hesitate to contact us, keep checking here for ADA updates, and in the meantime, enjoy this view from Kim’s studio at Banff.